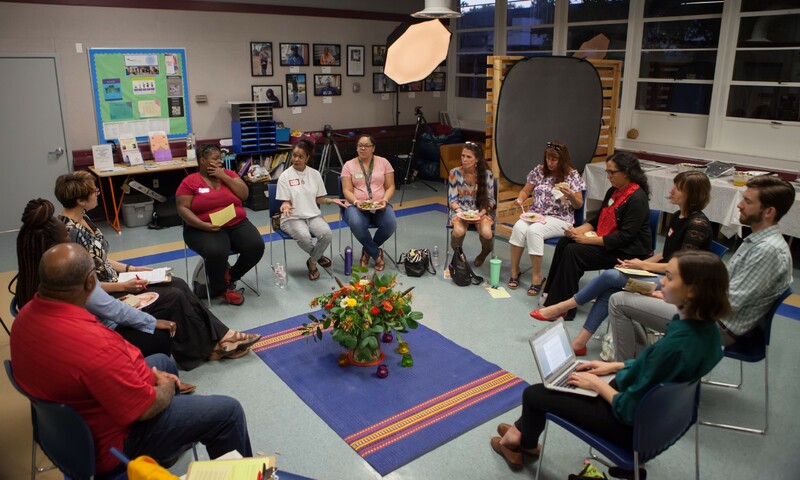 A Story Circle is pretty much what it sounds like — a group of people sitting together and sharing personal experiences on a theme guided by a facilitator. In CapRadio’s Story Circles, I invited participants to tell a story about when having a home made a difference in their lives. CapRadio brought affluent, white homeowners — representative of our core audience — by marketing the events on-air and via our social media channels. I also recruited millennials from the regional YIMBY (Yes In My Backyard) group, business leaders, local government staffers and building-industry executives to participate in the Story Circles. We held these gatherings at affordable-housing complexes, community centers and public schools in low-income neighborhoods throughout Sacramento. 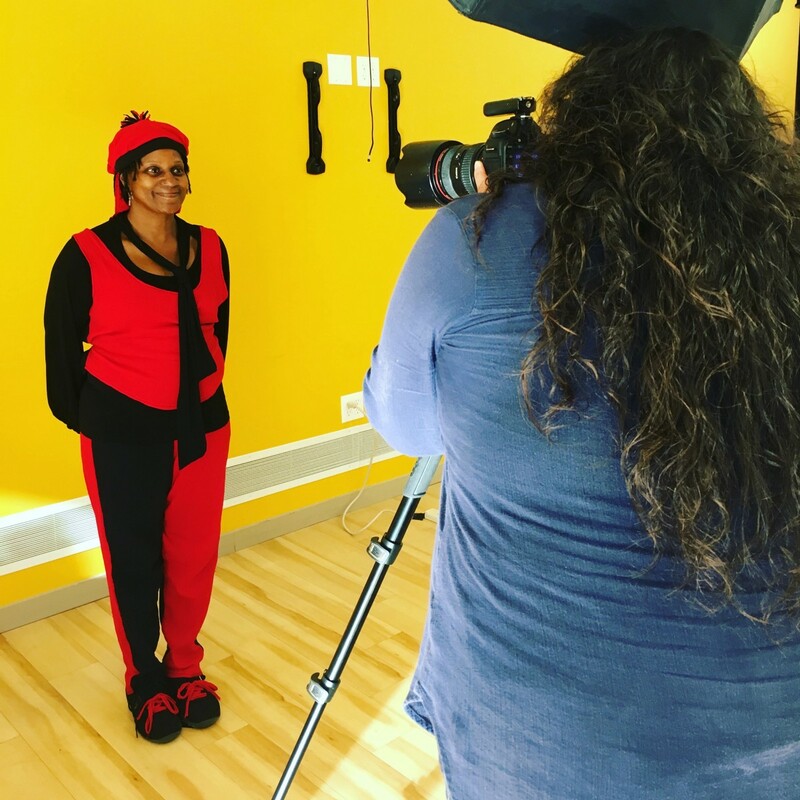 We collected the images and photos, sent participants complimentary copies of their portraits and posted images with text to the Community Voice section of the Place and Privilegewebsite and on The View From Here’s Instagram feed and Facebook page. The vast majority of Story Circle attendees — 85 percent — participated in the Storybooth. 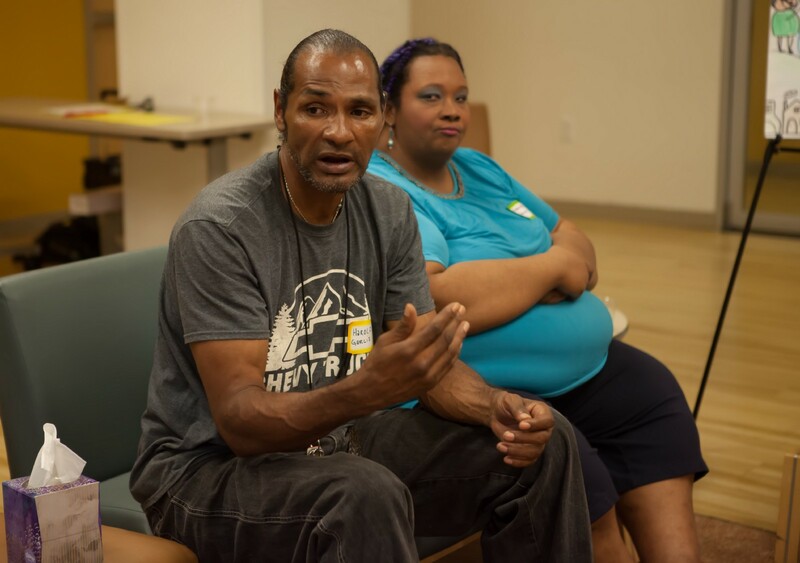 Commonality.Community members — whether dealing with homelessness, experiencing difficulty finding affordable housing or concerned generally about the crisis in the region — expressed surprise at the similarity of their experiences. 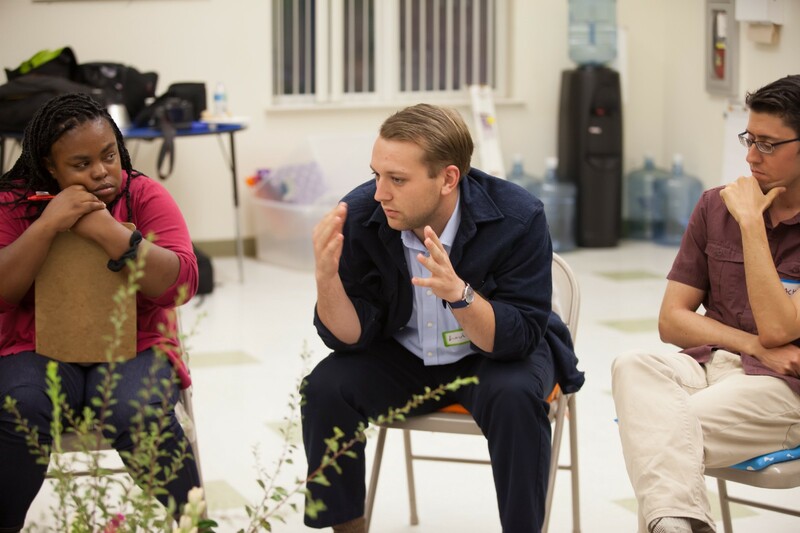 Community members expressed a desire for more opportunities to have conversations across perceived divides in order to deepen this sense of commonality and shared humanity. But here is my big takeaway. We surround ourselves — consciously or not — with voices and views that align with our own. We need Contact Zones like CapRadio’s Story Circles that bring people together across silos to engage in meaningful conversations about pressing social issues. Designing those encounters takes effort, skill and resources. The question is: Are public radio stations game to shift resources from their newsrooms or hustle additional funds to make it happen? Participatory media wrangler, civic storyteller and documentary artist. Building bridges for change. Community Engagement Strategist at Capital Public Radio.